Oakhill is a whole school: Little Oaks is our Pre-prep School – Grades 000 to R (3/4 year olds; Oakhill Prep School – Grades 1 to 7; Oakhill College – Grades 8 to 12 (Matric) – all on the same campus! We have a sports campus close to the school where we offer rugby, soccer, cricket, Astroturf hockey, netball and water polo. We also offer a range of other adventure sports within the area. Oakhill School grew from an idea sown in the early 1990s by pioneering parents who wanted an excellent all-round education for their children. They sought to establish a school which expressed “joy in learning”. 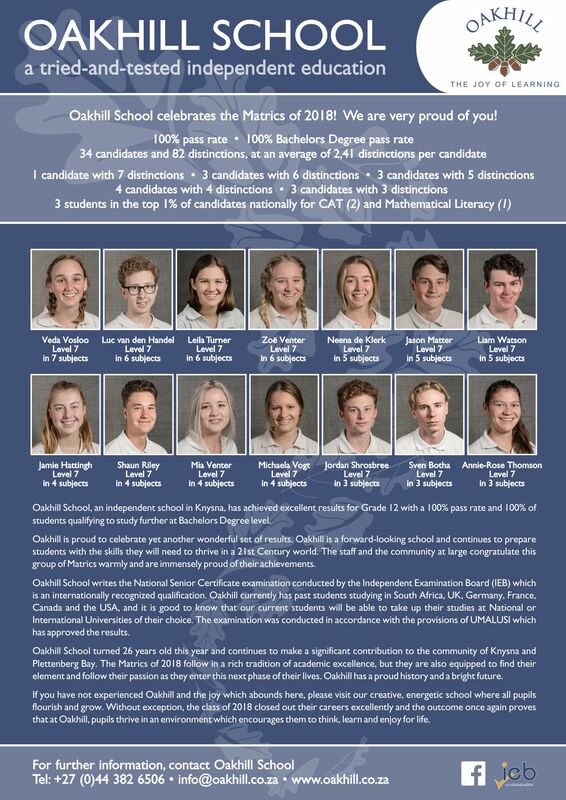 Today Oakhill has over 500 pupils from Grade 000 to Grade 12 and is growing steadily in reputation and numbers, attracting children from local areas and from further afield. The school is managed by a team comprising the Principal, and a management executive of teachers and administrators. Oakhill School is to be a happy, vibrant and dynamic place for learning, where children flourish in an environment that celebrates diversity, rewards creativity, embraces discipline and produces academic excellence. 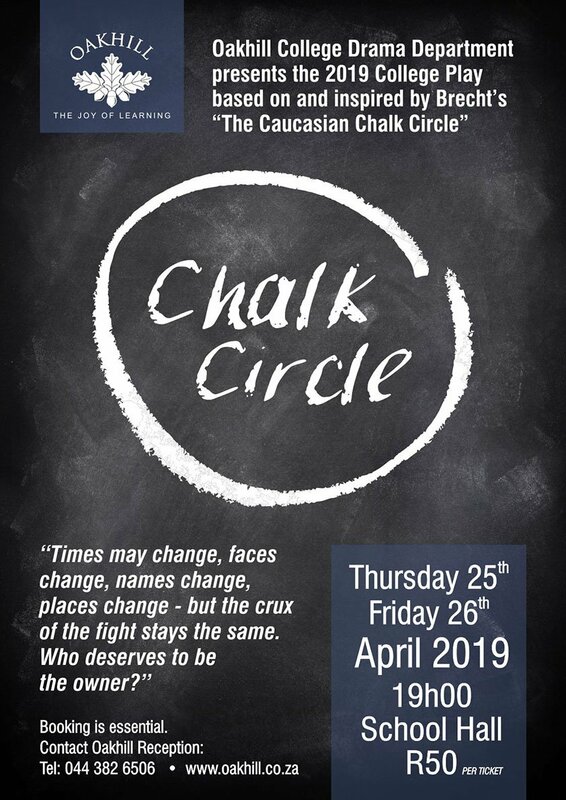 Oakhill seeks to provide a broad, balanced education that is modern and relevant to our times and integrates the academic, cultural, social, physical and spiritual components necessary for a young person’s development. The School recognizes the individuality of each child and provides a framework in which freedom and discipline sit comfortably with each other. Children are encouraged to think independently and respect one another’s viewpoint. This approach builds confidence, strength of character, self-discipline and instils a desirable value system and moral code that enables children to make decisions and take responsibility for their actions. The curriculum teaches our students to respect religious differences and allows parents to set the tone for a child’s spiritual development. Oakhill students should leave with both life skills and the skills for life, ready to continue their journey with confidence. Preparing students for life by encouraging them to think for themselves and take responsibility for the consequences of their decisions, for themselves, for others and for the environment.